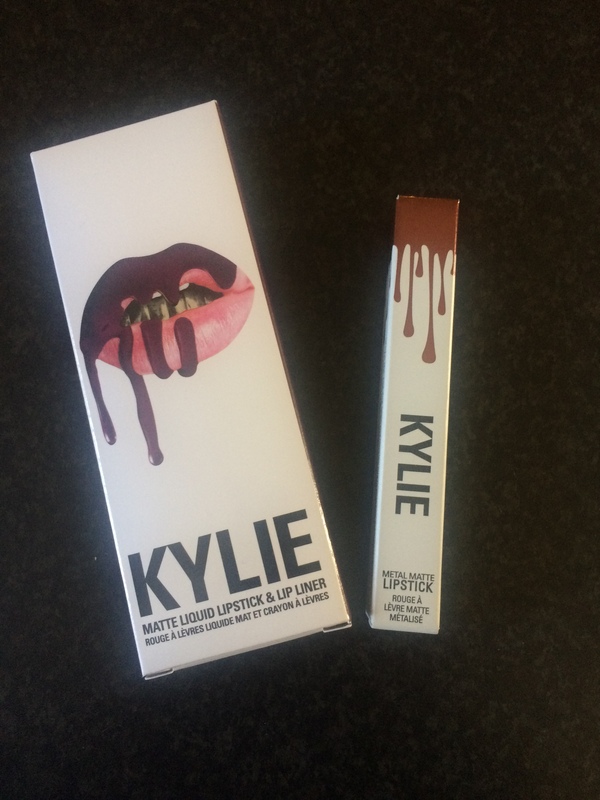 So this week’s product that I shall be reviewing is a Kylie Jenner lipkit and a Kylie Jenner metals gloss thing (doesn’t really give an exact definition on the bottle!). Disclaimer: This post is not sponsored in anyway. All opinions are my own. I bought these products purely for my own enjoyment and thought that they would be fun to review. Ok, so out of the two, I was the most excited about this one! I have wanted this LipKit since it was released, it’s the one I’ve been the most drawn to out of the whole range and I was so excited to try this out! This comes with two products, a matte liquid lipstick and a lip liner. The bottle for the liquid lipstick is adorable, it’s glass which makes it feel more luxury and the decor is very fresh and modern. At first I may have been a little worried about the thickness of the lip liner, the nib looked very wide and I don’t have the biggest lips and am also not amazing at applying lip liner, so I was worried this would end up all over my face! Whilst I was applying these to products, I found them both very easy to use. I was worried for no reason, the lip liner was actually much thinner than I was expecting, and felt creamy and smooth when applying. 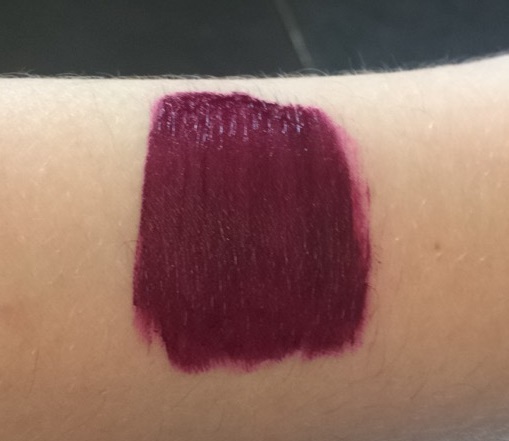 In terms of the liquid lipstick, the colour and pigmentation is amazing- you only need a small amount of product for a great colour. It also smells great and doesn’t feel drying on the lips whatsoever. After applying the Kourt K LipKit, I had definitely decided that this shade is maybe a bit more daring and pigmented than I expected, so it’s definitely going to be for going out at night and occasions. Ok, so I did find the lip liner to be quite drying on my lips after a while. However, this is common amongst most of the lip liners I have tried so I sort of expected this. The liquid lipstick dried quickly and wasn’t crumbly whatsoever. It also had a good durability and seemed to stay-put for most of the day, without many top-ups! Ok, so this product was much more of an impulse buy. Again, it comes in a glass bottle so feels luxurious, has a cute design and smells amazing. Whilst applying this product I found it very easy to apply- the brush is a great size- and found that I only needed a little product for a really dramatic effect. I love this colour. It is maybe not as metallic as I was expecting, but it is gorgeous in the light. It dries very quickly yet doesn’t feel like it’s drying up the lips, it actually feels quite moisturising. I felt like it actually made my lips look bigger- and that was without lip liner or the use of any other product! 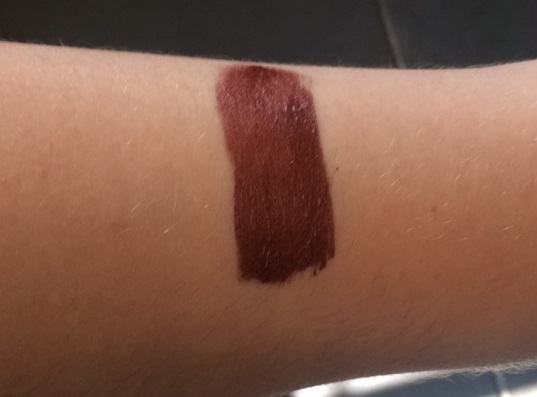 This product is very buildable- but I found this deep colour a bit too much for my pale skin tone, so I think I’ll stick to the thin layer that I liked. Ok, so I have seen a lot of people do this online so tried to combine my two Kylie Jenner products. I found that these two products, in particular, compliment each other very well to produce a very daring look. However, I have decided that this maybe a bit too daring for me! I love both of these products and they are definitely the quality that I was expecting! However, I had a massive problem with shipping these items to the UK! I had already paid $15 in delivery when I was sent a notice telling me I owed customs an additional £14.76 for my items! I thought that this would have been included in the delivery price so was totally unprepared for this, it was a big shock and I didn’t have the money! Had I known it would cost this much for the products to actually reach me, I may have opted for a much more local option, as there are so so so many dupes out for these products right now and, whilst they may not have the same lasting power, the much much much lower prices of these dupes outweighs the fact that you will have to reapply them more often! I would just like to say I am not specifically a beauty blogger so this post is all based on my own opinions and experiences, which are by no means that of a professional!